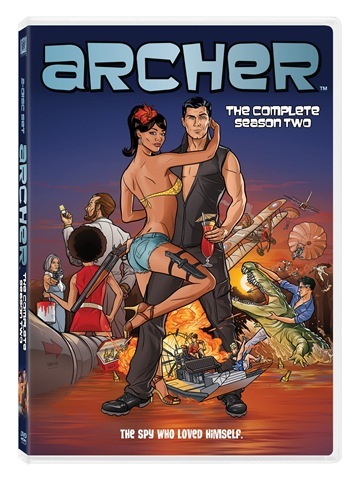 Win A Copy Of Archer: The Complete Season Two! Sterling Archer, the world’s most self-involved spy, has survived despite incredible odds – and his own many failings – to become television’s best-loved idiot [well, next to Homer Simpson]. 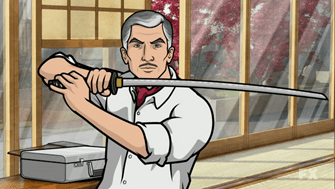 The second season of his animated series, Archer, is coming to stores on DVD/Blu-ray on December 27th – but you have a chance to win a copy and avoid the post-Christmas shopping madness! Following the jump, there is a list of five of the second season’s more memorable guest stars. After you check them out, email me [address after the jump as well] with the name of the hush-hush spy agency Archer works for – or pick out the guest star whose character is not the one pictured [we’re giving you a choice!] – for a shot a winning one of two copies of the Season Two DVD set we have to give away. The second season of Archer has had some awesome guest stars in some very memorable roles. For instance, did you know that Glee’s Darren Criss makes a guest appearance? Here, we will explore five of our favorite Archer guest stars from season two, and the roles they played. 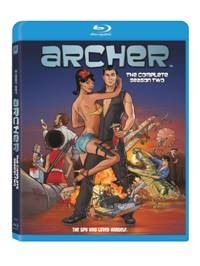 Loaded with three exclusive top-secret animated shorts, ARCHER The Complete Second Season features all 13 episodes plus hilarious never-before-seen extras! 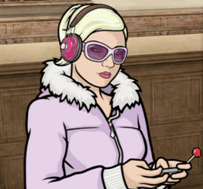 ARCHER features the voice talents of H. Jon Benjamin (“Bob’s Burgers,” “Family Guy”), Jessica Walter (“Arrested Development”), Aisha Tyler (“24,” “Friends”), George Coe, Chris Parnell (“30 Rock,” “Suburgatory”), Judy Greer (27 Dresses, Marmaduke), and Amber Nash. In “The Placebo Effect” Darren Criss plays Mikey, one of the Irish mob goons that Archer hunts down to find out who has been giving him fake cancer medication. Darren Criss is best known for his star-making role as Blaine Anderson on the hit show Glee. Prior to Glee, Criss gained notoriety from the YouTube videos of his “A Very Potter Musical,” which became a viral video. In the second episode of season two (“A Going Concern”), Jeffrey Tambor plays Len Trexler, the head of rival spy agency ODIN. 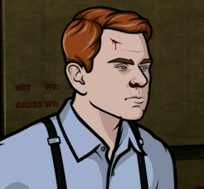 Len Trexler is in love with Archer’s mother, Mallory, and has appeared in both the first and second seasons of the show. Jeffrey Tambor is known for his roles in Arrested Development, The Larry Sanders Show, Entourage, and The Hangover. In the episode “Movie Star” Rachael Harris guest stars as Rona Thorne, a Hollywood starlet who shadows Lana for a week as research for a film role. Rachael Harris is probably best known for her role in The Hangover as Stu’s shrewish girlfriend, Melissa. Harris has also been a correspondent on The Daily Show, and a frequent commentator on VH1. Peter Serafinowicz plays George Splevin, a mysterious computer security expert, in the episode “Tragical History.” Splevin introduces a virus that targets ISIS’ mainframe, and Archer must take him down. Peter Serafinowicz is most well known in the US for his roles in the film Couples Retreat and on the short-lived sitcom Running Wilde. For a chance to win, send your email to swiebe@eclipsemagazine.com. Previous PostMichelle Kind of Hates Sherlock Holmes: A Game of ShadowsNext PostAmerican Horror Story Kills Its Season Finale!